Professor Jannie Rossouw was appointed as Head of the School of Economic and Business Sciences (SEBS) in February 2014 at Wits University. Previously he worked at the SA Reserve Bank and the University of South Africa. Rossouw's research interests cover inflation perceptions and expectations and the danger of South Africa facing a fiscal cliff owing to fiscal unsustainability. He serves on the Audit and Risk Committee of the South African Academy for Arts and Culture. He chairs the Audit Committee of the Afrikaans Language Museum and Monument in Paarl. 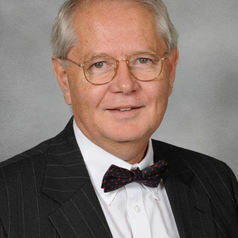 Rossouw obtained degrees in economics and an MBA-degree from the University of Pretoria and holds a PhD-degree from the University of KwaZulu-Natal.